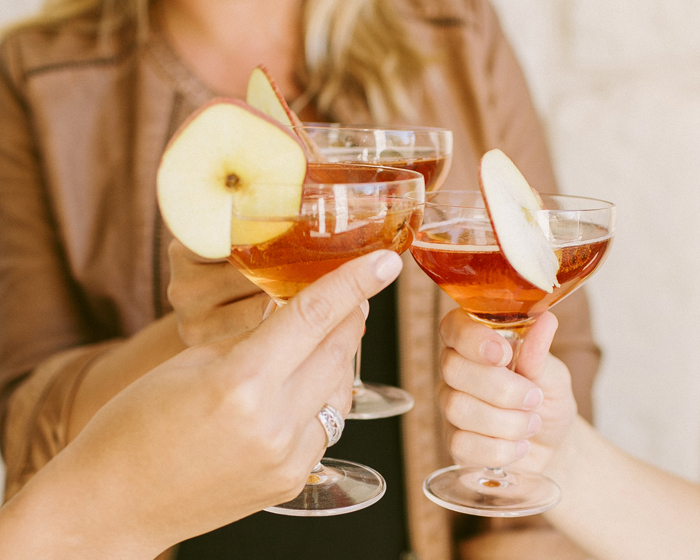 In collaboration with Teavana, we’ve created this amazing Spiced Apple Cider Champagne Cocktail for your next Autumn get-together. It’s so tasty that I’ve been craving one ever since we mixed them up! There’s something about a champagne cocktail that makes a party more festive, and well, bubbly. Cheers! Read on for the recipe & $10 off your next $30 purchase at Teavana.com. 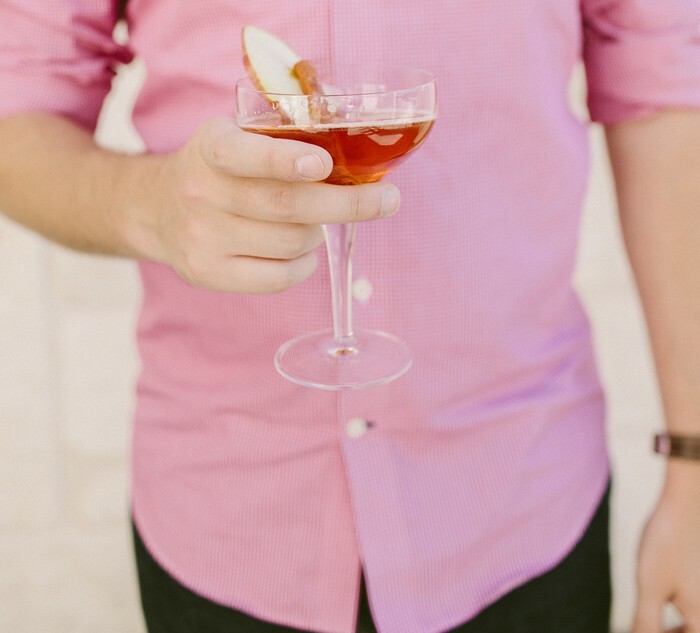 Apple slices, cinnamon sticks + Perfectea rock sugar – for garnish. Mix tea and brandy and split between 4 champagne glasses. We love this Saucer style for a champagne cocktail! Drop some rock sugar in the bottom for bubbly flair. 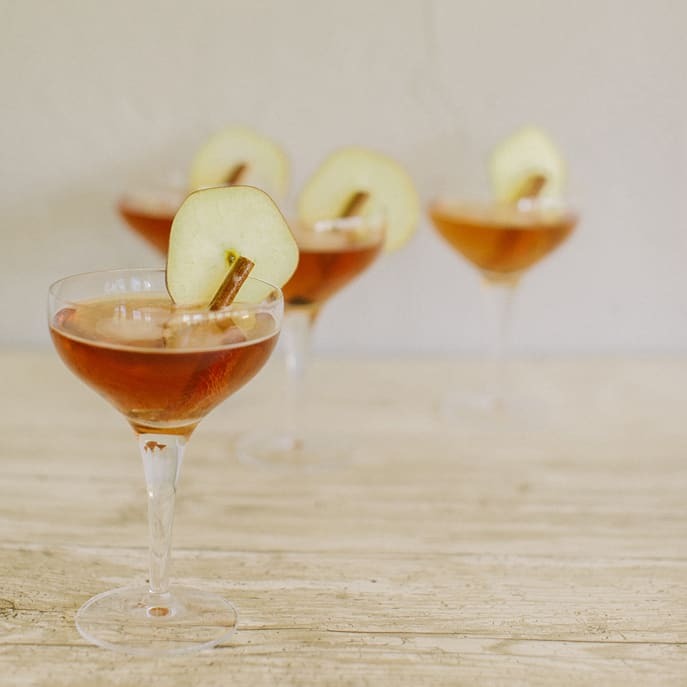 Garnish with a cinnamon stick and apple slice. Enjoy! Click here for the rest of our Fall Tea Party. It’s brimming with cozy food and simple crafts to make your entertaining easy and beautiful this season. LOVE teavana, and wow this looks super yummy. I will definitely have to try to make this!